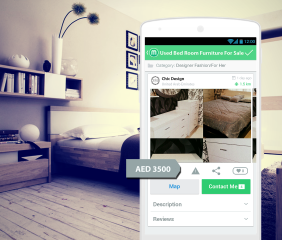 Today our focus is on Chic Design, from one of our Mellsters who is selling Used Bed Room Furniture (price:3500 AED).Let’s Zoom in on this amazing deal! Note: To keep your furniture dust-free, try to do this simple procedure once, if not twice, a week. e) Use a water-dampened sponge or washcloth to wipe off any remaining cleaning solution. Note: Polish can make your wood furniture slippery, so try to limit your applications to no more than several times a year.